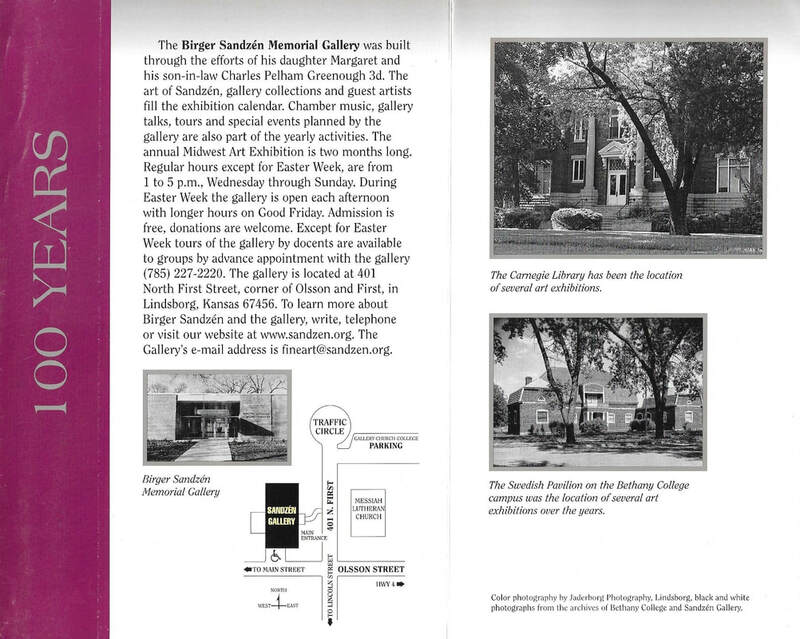 "unique to the history of Kansas art." 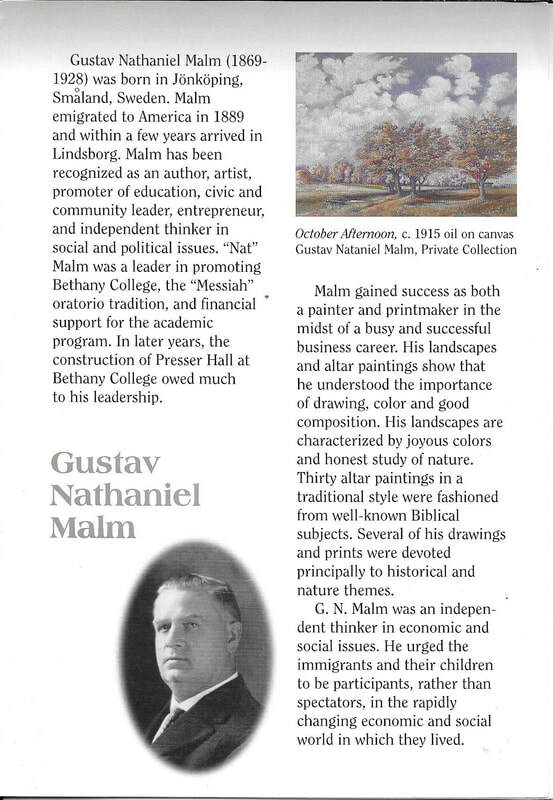 Along with the inspiring, emotionally moving sacred music of the Messiah touching the spirits of Lydia, Emil and their friends would come an organized "European flavored" exhibition of art in 1899 by three exceptionally gifted Swedish gentlemen: Carl Gustafson Lotavé, Gustav Nathaniel Malm and Sven Birger Sandzén. During that time Lydia's family was living in McPherson and she was attending McPherson College while Emil had recently been called by the founder of Bethany College, Rev. 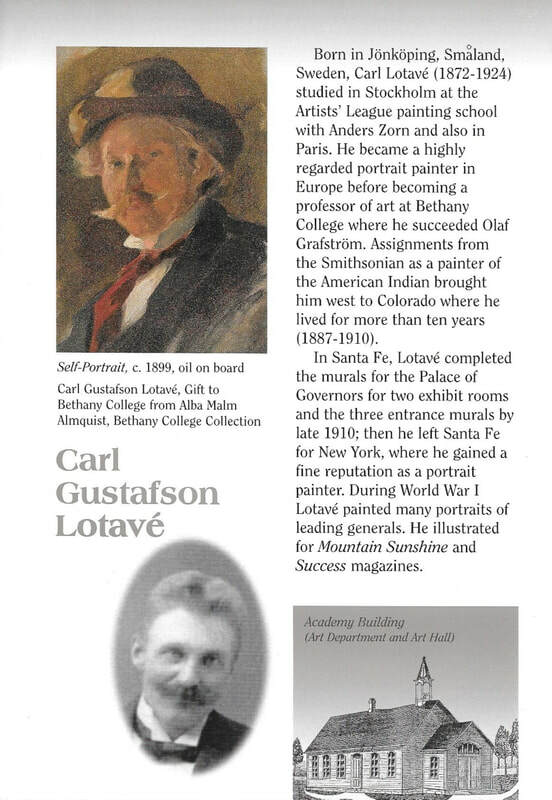 Carl A. Swensson, by way of his father, Charles Deere, to drop his studies at the Agricultural College in Manhattan (Kansas State University) to come to Bethany to study in 1899. Emil and Lydia probably had not met yet. 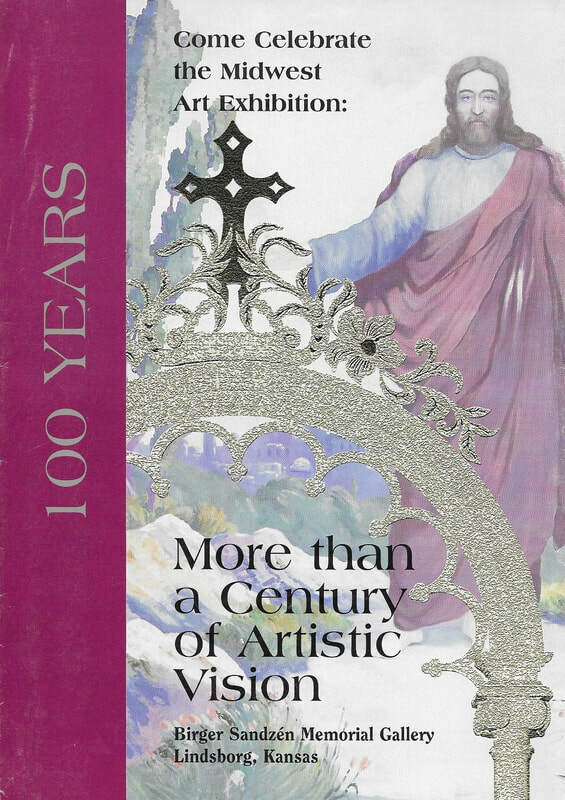 But seeing this annual art exhibition, while most likely singing in the Messiah, would become a beautiful part of their Holy Easter Week activities, as it was with a majority of their friends and contemporaries. 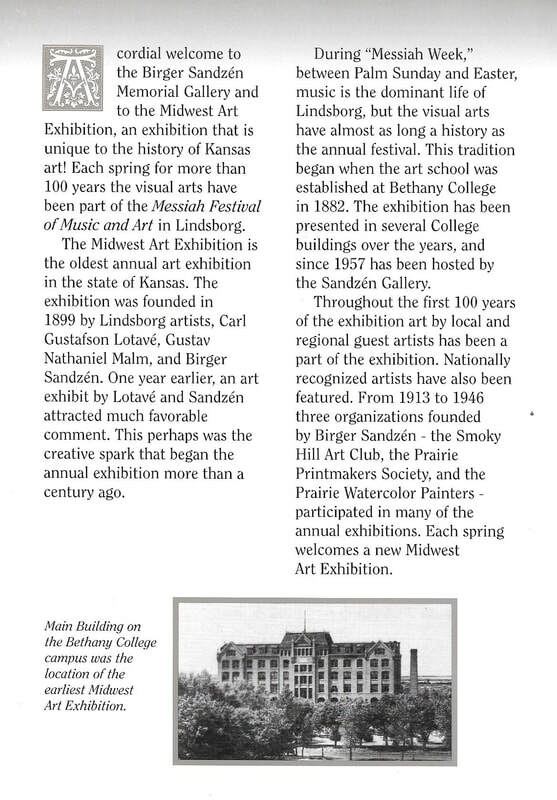 Since its founding in the springtime of 1899, the Midwest Art Exhibition has been noted as "unique to the history of Kansas art," as it continues to this day. 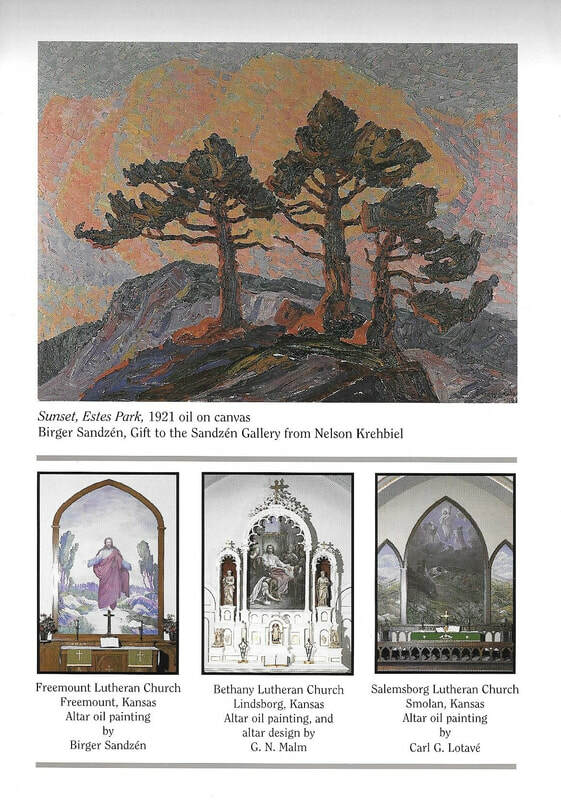 The information below is from my 1999 brochure from the Birger Sandzén Memorial Gallery celebrating the Exhibition's 100th Anniversary! 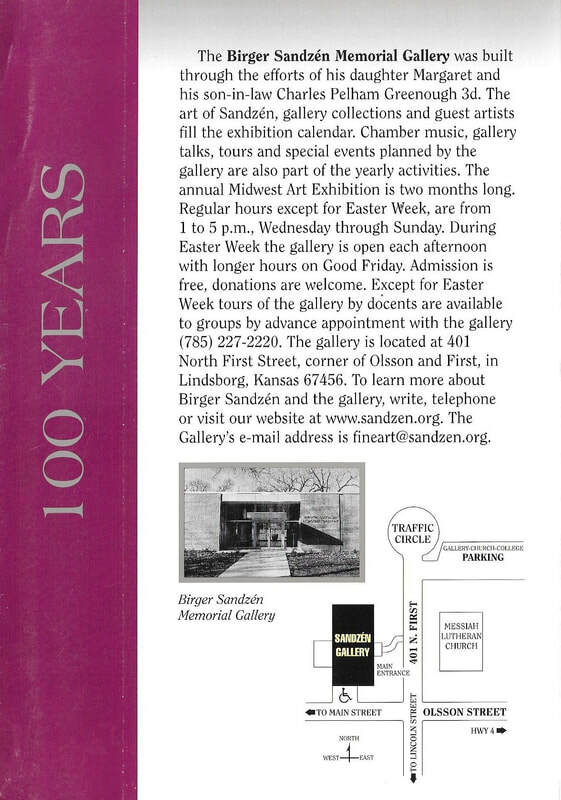 This brochure gives a condensed history of the wonderful and beautiful story of art in the Kansas Smoky Valley, in Lindsborg and at Bethany College concentrating on the three Exhibition's founding Swedish artists as well as mentioning three organizations founded from 1913 to 1946 by Birger Sandzén which would participate in this annual exhibition. These were the Smoky Hill Art Club, the Prairie Print Makers, and the Prairie Water Color Painters. 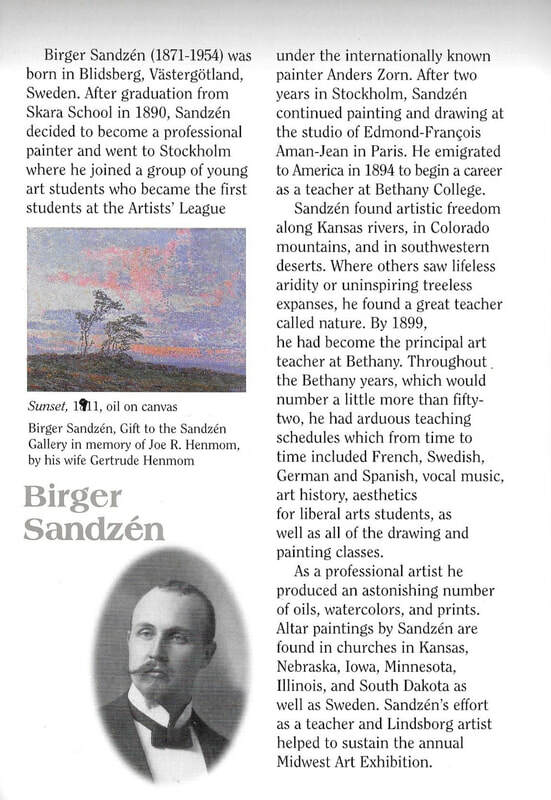 Courtesy of the Birger Sandzén Memorial Gallery. It would be well over 20 years before Lydia would become an art student of Sandzén. Yet, before then she would help him with the Smoky Hill Art Club becoming its vice president for a period of time. At its zenith, it would have a membership of 400 in the 1930s. For more information on her art professor go HERE.